New Minister for Housing and Urban Renewal – DAMIEN ENGLISH T.D. Today, Thursday 19th May 2016, I was honoured to be asked by An Taoiseach Enda Kenny T.D. to serve as the new Minister for Housing and Urban Renewal, after 2 very interesting years as Minister for Skills, Research and Innovation. 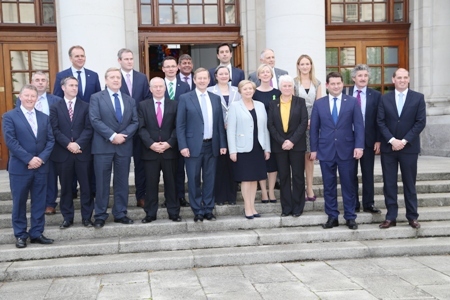 I intend to work very closely with my Fine Gael colleague in the Department, the Minister for Housing, Planning and Local Government Simon Coveney T.D., in providing political leadership on improving the supply of quality affordable homes for families, ending the homelessness crisis and regenerating communities. I welcome your feedback and ideas in these new areas of responsibility.